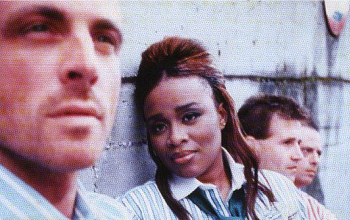 Leaders of the Italian house music movement of the late ’80s, Black Box was primarily comprised of club DJ Daniele Davoli, computer whiz Mirko Limoni, and classical clarinetist Valeric Semplici, a trio of studio musicians known collectively as the Groove Groove Melody production team. A series of Black Box hits followed, among them ”I Don’t Know Anybody Else” (a Top Ten smash in the U.S. as well) and ”Everybody Everybody,” which featured vocals by Martha Wash; the group’s debut LP, 1990’s Dreamland, was also a success. They returned in 1991 with ”Strike It Up,” another American Top Ten entry, as well as the Mixed Up! collection; additionally, the Groove Groove Melody team scored with material recorded under a variety of other aliases, among them Starlight (”Numero Uno”) and Mixmaster (”Grand Piano”).